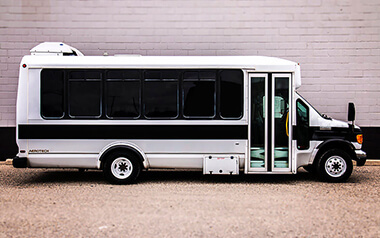 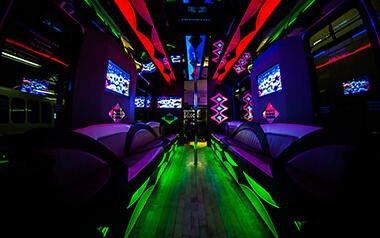 Our 26 passenger limousine bus is a beautiful vehicle that's great for you and your friend for any type of event from weddings to concerts, sporting events or just a night out on the town. 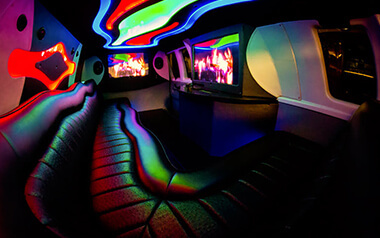 The comfortable wrap-around style seating allows for easy conversation among guests, and the array of features allow for endless fun! 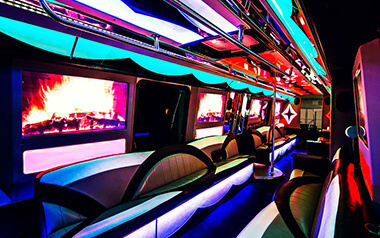 You'll love this chauffeured party bus!